Packaging is crucial for quality and process management, protecting your goods, managing your customer’s expectations, communicating your message, performing a marketing role, complying with regulations, generating intrigue and supporting your green credentials. If it’s important to you, it’s important to us. We have been reliably producing cardboard boxes and packaging solutions from the same premises in Aylesbury. With a commitment to innovative ideas, investment in technology and sourcing a great team, the business has evolved to best serve our customer’s changing requirements. We can cut corrugated cardboard in any dimension or shape, from basic flat sheets of single or double walled cardboard, through to intricate packaging design. We manufacture a wide range of box sizes, from the standard cases 0201 and 0203, along with crash lock base cases, large wraps, cardboard pallets and produce trays. We create bespoke boxes that ultimately become part of the product. Retail packaging is reliant on printed box design. We offer flexographic and screen printing and lithographic. From low-cost e-commerce delivery boxes, to packaging and shop window displays for luxury brands, we have helped many companies with printed packaging solutions. 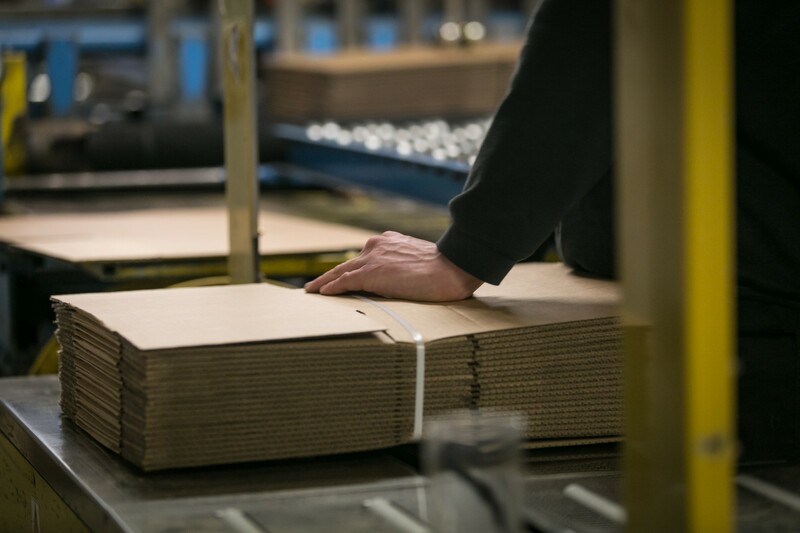 From corrugated boxes to compostable box liners, we can produce cardboard packaging using 100% recyclable materials. As ecommerce packaging manufacturers for online retailers, we know what you need to make your deliveries stand out from the crowd. Make the right first impression. When you order from us, you will be assigned a dedicated Account Manager. Always out and about with a smile, they are keen to meet, discuss your requirements, advise and deliver. 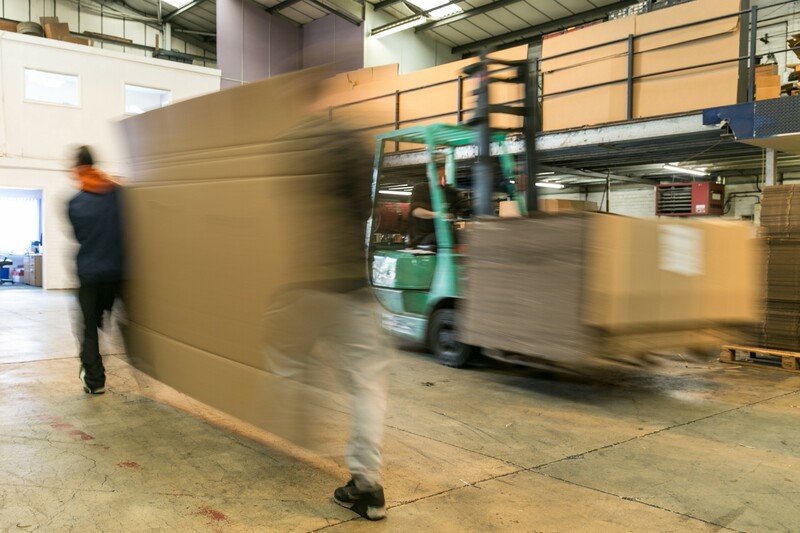 We currently serve over 500 companies within a 50 mile radius of Aylesbury and produced over 7.7million packaging items in 2015, so we know what we’re talking about when it comes to boxes. We are using cardboard that is made from 80% recycled materials and 20% wood from sustainable sources registered with the Forestry Stewardship Council. Helen is a super Account Manager who is quick to turn issues into result driven actions and Aylesbury Box Company has consistently been able to deal with small and large demands effectively. I just wanted to pass on my thanks, and the thanks of the logistics team, for the delivery of the packaging this morning. We managed to box and send out all of the customer’s orders without any failures. This is a great start and has boosted confidence in your company, which can be tricky during a change from an established supplier. I would like to thank you for your help in getting the boxes to us. I was very grateful as the boxes arrived a day earlier than expected. Aylesbury Box Company is a bespoke manufacturer with a wide range of machinery capable of producing a wide range of cardboard boxes. We design, manufacture and deliver bespoke packaging. If it can be made from cardboard, we’ll make it.